Watching Game of Thrones can be a bit taxing -- if not due to the ceaseless barrage of characters who are introduced and beheaded in the same episode, then because of the extraordinarily lavish feasts that George R.R. Martin has written into what seems like every scene. 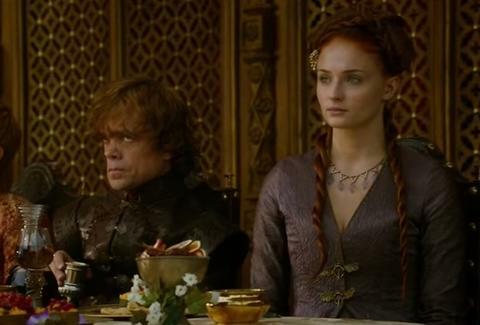 "Why can't I have what Tyrion's having?" you might ask yourself. Well, now you can, because HBO is opening a Game of Thrones pop-up restaurant. And it's appropriately/ominously called "All Men Must Dine." The small-council themed pop-up, which will be operating out of London's Andaz Liverpool Street hotel, will run from February 13th-15th, and will feature cocktails and dishes inspired by the show and its setting in the continent of Westeros; one such menu item is called "The Lies of Tyrion Lannister and his Proclaimed Innocence," and contains poached veal tongue, beets, horseradish, and "Oldtown mustard," which is, of course, named for the home of the Maesters. Duh. HBO is holding a contest to determine the lucky dinner guests, and to enter, you have to tell their panel of judges who your favorite GoT character is, and what you would cook for them to win their heart. Pretty simple stuff, considering all it should take is a little bread and salt. Adam Lapetina is a Food/Drink staff writer for Thrillist, and wants to know if there will be any hot pie. Read his musings at @adamlapetina.